Completing a college degree can be a challenge, especially if you are trying to juggle work and a family on top of classes and homework. 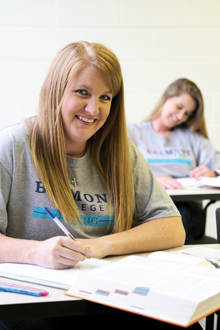 At Belmont College, we recognize that it is sometimes necessary for our students to take time away from school, and when you return we will make every effort to help you pick up where you left off. Complete an Application for Admission (no fee to apply). 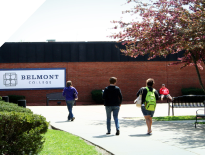 If you have attended any other schools in your time away from Belmont, have your transcripts sent to the Records Office at 68094 Hammond Road, St. Clairsville, OH 43950. Contact Enrollment Services at 740.695.8516 to schedule an appointment to review the credits you have already earned and talk about your current goals. Apply for Financial Aid. Complete your Free Application for Federal Student Aid (FAFSA) online at www.fafsa.ed.gov using Belmont College code 009941. Welcome back to Belmont, we look forward to seeing you on campus soon! For more information, please contact Enrollment Services at 740.695.8516.